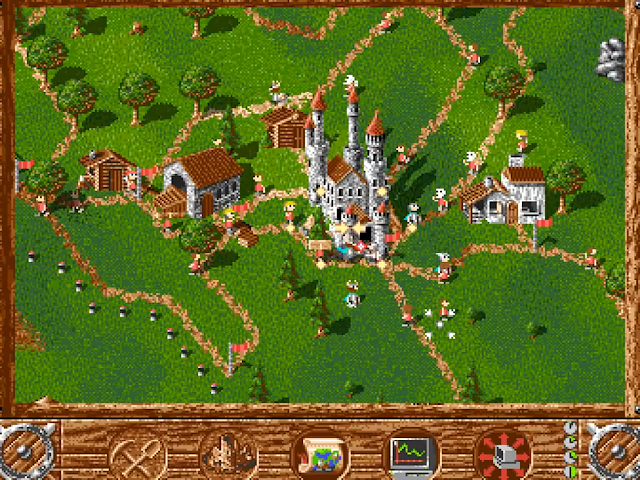 Settlers is a real time strategy game, simulating the building and expansion of a medieval type settlement. Released for the Amiga in 1993 it was the first game of its type on any platform, the IBM PC release not following for another year. It gave rise to countless follow ups and even the smash hit modern-day tablet game ‘Clash of Clans’ has its roots firmly planted in Settlers' territory. 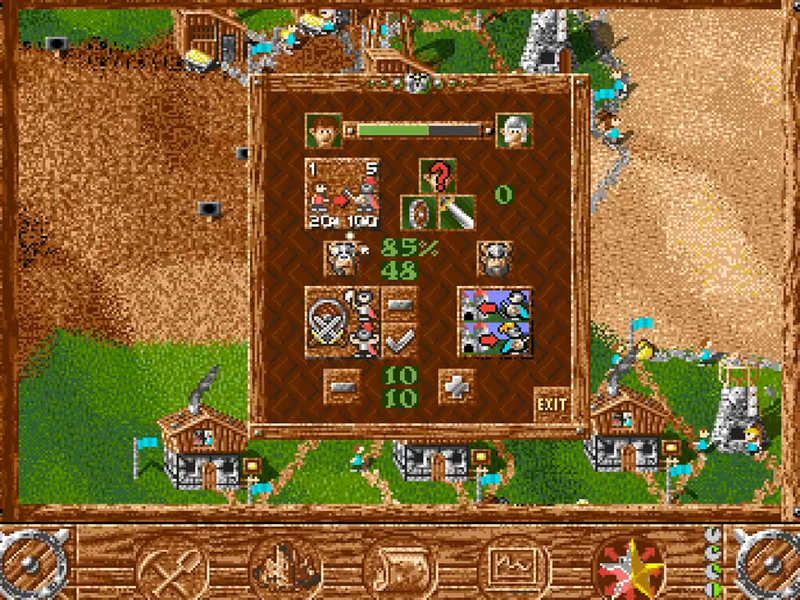 You can play against another human opponent or against up to three of a selection of potential computer opponents each with varying ‘personalities’. Everything is controlled via the mouse by using a series of on-screen menus. 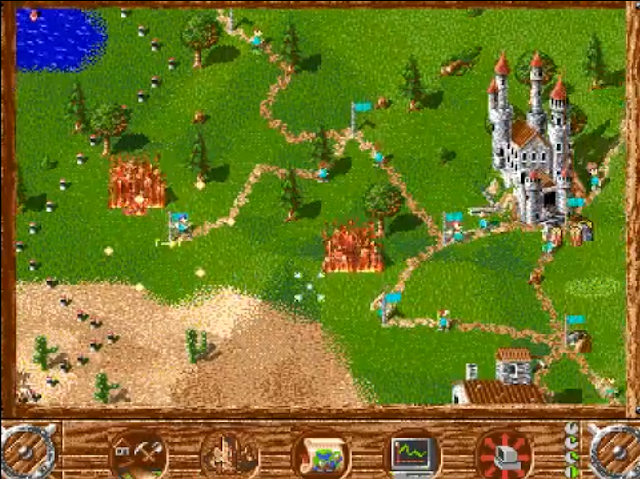 You start with a castle which you have to place on a map taking into account the terrain, the proximity to trees (which will provide you wood), mountains (for mining raw materials; coal, granite, iron-ore and gold) and water (for fishing). Once sited you have access to a ready stock of raw materials to get you going and there are a number of villagers who are ready to carry out your wishes. 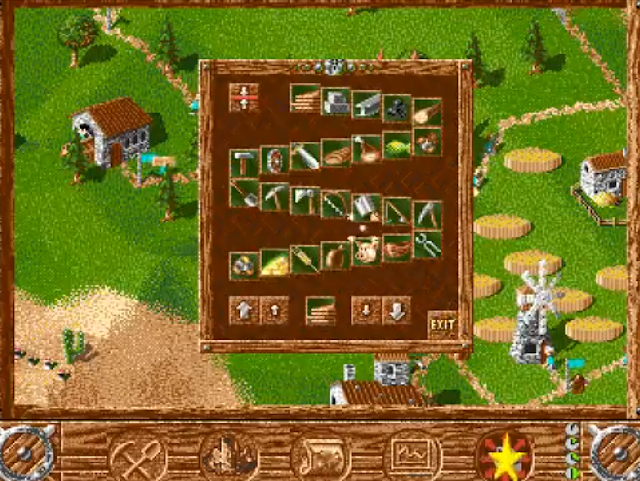 You can then select from a variety of buildings which, once commissioned, the villagers will build for you, providing you have sufficient raw materials in stock. 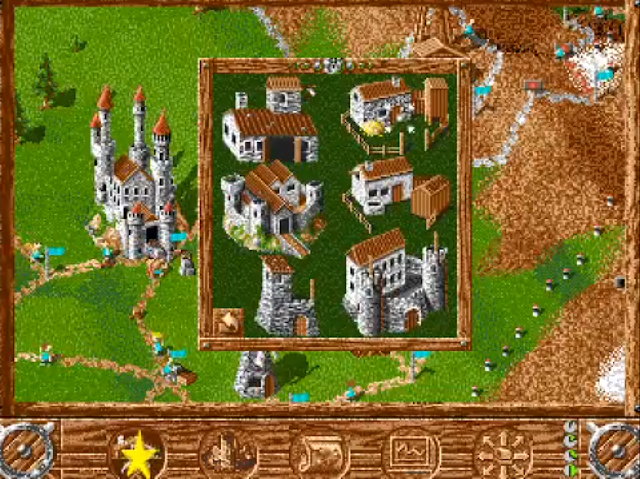 You don’t directly control the villagers, you simply place the footprint for the buildings and they do the rest. Once built a villager will inhabit a building and will go to work. You must also ensure that everything is connected by a network of roads. The genius is the simple way that everything links to something else. So, for example, a Forester’s Hut sees a Forester planting trees. A Lumberjack’s Hut will enable another villager to start cutting down those trees. The Sawmill will turn the trees into usable wood which is required for construction and other professions such as the Tool Maker. Each time something is produced it is physically transported to where it is next required by your villagers. It becomes increasingly important therefore to keep linked buildings close to each other, since everything happens in real time you don’t want your resources to be carried right across the map and back unnecessarily because your roads can become very busy as the game progresses. You send a geologist to the mountains who shows you where the raw materials are buried. 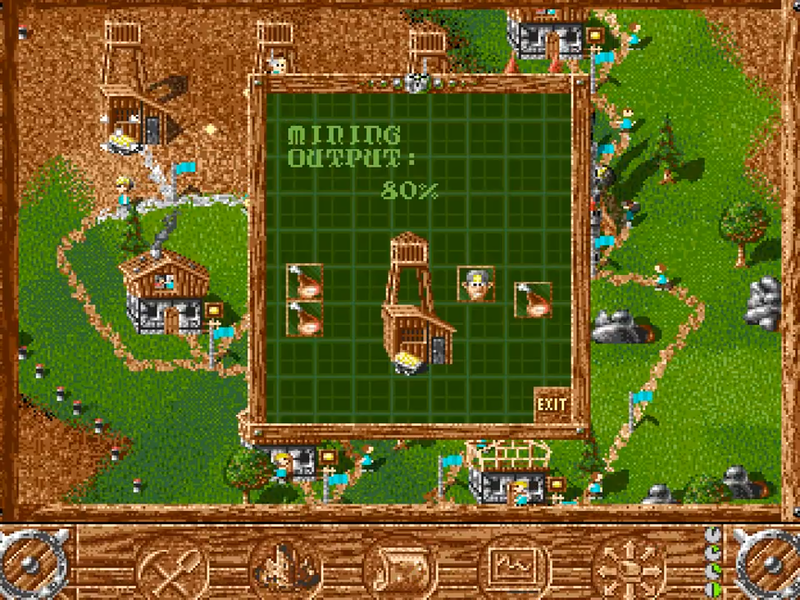 You build mines to gather these resources which again are essential to progress. 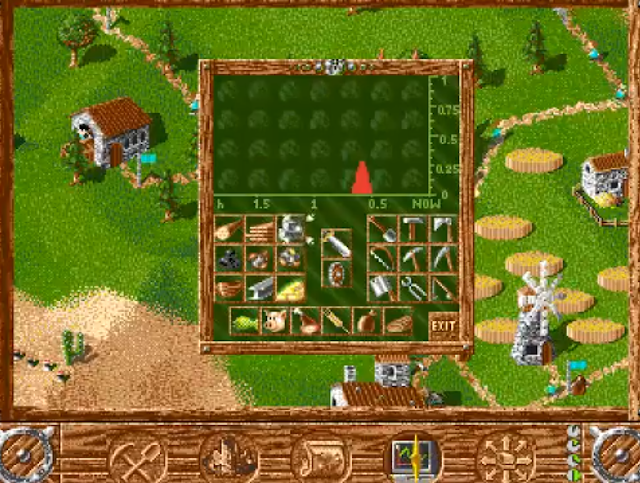 You construct farms and grow wheat (which goes to the Bakery via the Windmill) and keep pigs (which will keep the Butcher busy) all to feed your population. You have an Iron Worker, Tool Maker and Armourer all who need the relevant raw (or produced) materials to work. There are too many buildings to list; over twenty are possible, each with its own role to play and requirements to be active. You can build as many of each as you like (and have the required resources for). As the number of buildings grows so does your population. 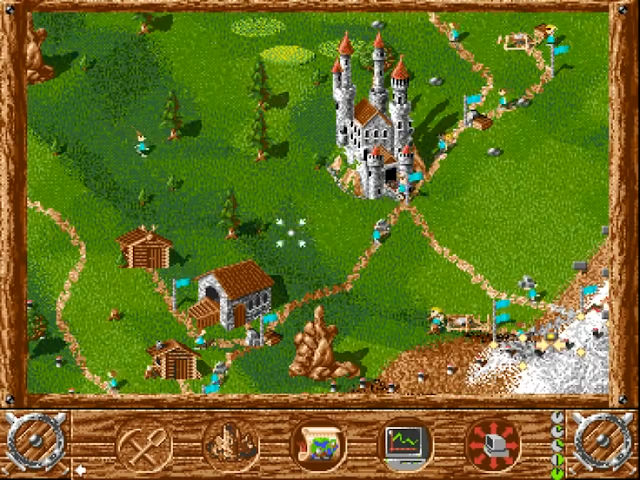 The game can be played on a variety of sized maps depending on your machine’s capabilities, a game on a powerful Amiga can handle up to an incredible sixty-four thousand settlers all acting individually and autonomously. The thing that is so impressive is that the interconnectedness is not just for show, it all works. If you run out of wood, your construction stops. 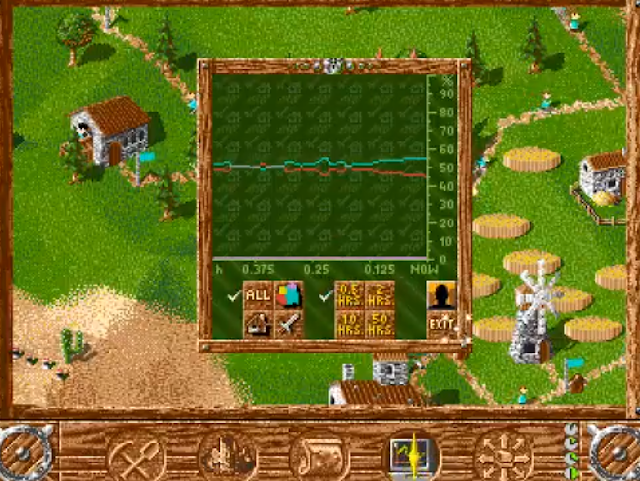 Fail to produce enough food and your villagers slow down or down-tools. If you run out of iron-ore or coal, your Iron Foundry grinds to a halt and then when your iron stocks are exhausted the Tool Maker and Armourer’s output ceases. Everything has to balance and to help achieve this you have a series of supply and demand displays and options, which allow you to see where the bottlenecks in your production are and adjust the flow of your materials accordingly. Eventually you will run out of space in your designated area, so you can build more Guard Huts which, once occupied by a Knight, will expand your boundary. Your Knights gain experience and get stronger as they train and receive gold and, once strong enough, you can send some to fight with your opponent’s Knights. Win the battle and you take over their Guard Hut and your territory expands around it. Any other enemy buildings in that newly claimed area instantly become yours. 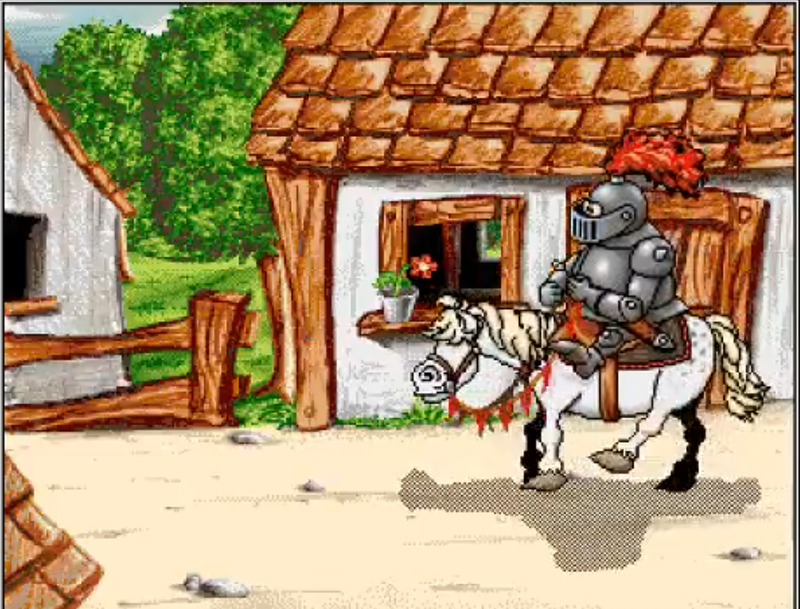 Once the last enemy Knight is beaten that enemy is defeated and disappears from the map. And that in a very long nutshell is the game. Build and expand your settlement. Defeat your opponents. Move to the next level and repeat. The game starts gently, easing you in with some simple missions to get you used to the gameplay and interface, but before long you are having to build large settlements to progress. This takes time, lots of time. This isn’t a game you can put on for five minutes; each level can take many hours, so it is helpful that you can save progress whenever you choose. It is a very relaxed affair though, you spend a lot of time just watching your buildings being completed and your villagers going about their business. Dinner ready? no problem, go and eat, everything will still be ticking along when you return. It is important not to do too much too fast as resources get stretched too thin and everything grinds to a halt. Careful planning is needed to make the best progress. The graphics are wonderful, each building being beautifully designed and animated. The sound is absolutely stunning, with a plethora of sound effects that play to accompany whichever building you happen to be focussing on at the time. Look at the Tool Maker and you will hear the distant clink of a hammer on metal. Visit the Lumberjack and you will hear the sawing of wood. This is all accompanied by a medieval tune that captures the mood perfectly and never gets irritating. The whole effect produces an atmosphere that is utterly delightful and completely engrossing. On the down-side this isn’t a game that will please those looking for a fast thrill, you have to invest plenty of time to reap the rewards. It is also possible to hit a bit of a wall, with resource or transportation problems stopping construction altogether, when the only option is to start a level again. Bearing in mind you may be several hours in, this can certainly be frustrating, but each time it happens you learn an important lesson and vow to improve next time. There can be periods when there is not much for you to do, so an ability to fast forward time (like, for example, Sim City) would be welcome. Finally, you can reach a point where you are clearly going to win, but it can take a long time to train enough Knights to finish the opponent completely, it would be more sensible if they surrendered when their settlement becomes untenable. I have to list negatives in the interests of balance but in reality this is an absolutely magnificent, wonderful game. Nothing is perfect, but this is extraordinarily close. To produce something so detailed, so clever, so atmospheric and so interconnected, that works so well, running on even a basic level Amiga is nothing short of astonishing. There are moments in video gaming history that are rightly remembered as groundbreaking. Pong, Space Invaders, the first home consoles, the NES, the Playstation, online gaming, virtual reality. Settlers deserves to be on that list. It really was that different and genuinely still is that good. 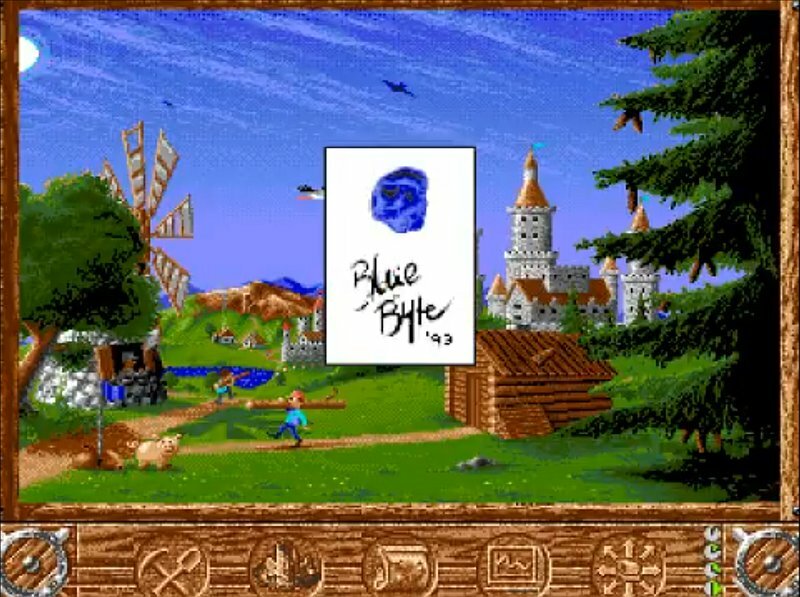 It has been voted as the second best Amiga game ever and would comfortably be in my all time top ten games from any platform.